It would seem that lots of you are busy spending the last of this financial year’s budget, as we have a constant stream of vehicles leaving us to deliver warehouse racking around the UK. In the next couple of weeks we still have spaces available on vehicle going to London, Bristol, Peterborough, Cheshire, Sheffield and Edinburgh. Get in touch now for a great delivered price if you are close to these areas. 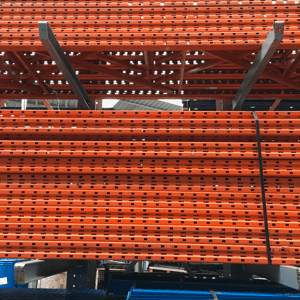 Our stocks of used industrial racking remain good, particularly in the most popular manufacturers such as Dexion, Redirack, Apex, Link 51 and PSS. We also have used Dexion shelving and new longspan shelving ready for quick dispatch. Call us now on 0800 612 3210 for a quote, or send us an enquiry and we will respond quickly.